If you would like to view all aspects of the website (for members only) Please log in by clicking on the "person" icon on the top right section of the Home Page. Once you log in, click on the icon again and click on "My Profile" for all of your membership details (i.e., level, status, when renewal is due, ID number, etc.) Visitors to our site will only be able to view limited areas. All areas of our site may be found in our menu. Members can now access minutes of the January 17 quarterly NCEMGVA Delegates Meeting by clicking on the Organization tab. The next Board of Delegates Meeting is April 18, 2019 in Henderson, NC. Click on Upcoming Events to register for the meeting. 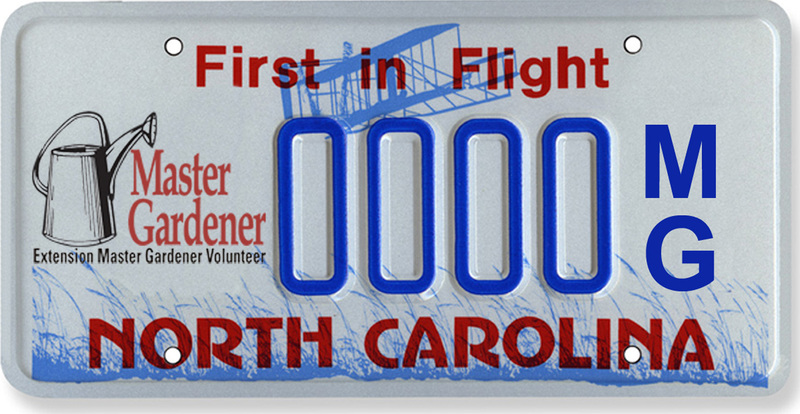 All North Carolina Extension Master Gardener volunteers and interns are invited to join us as we celebrate 40 years of "Helping Gardeners Put Knowledge to Work" during the 2019 Extension Master Gardener College at NC State University, June 6-9. Whether you just finished initial training or have been in the program for years, this advanced training conference offers many unique and exciting opportunities for every EMG volunteer! If you have any issues or questions about online registration, please contact Carolyn Howard, at cmhowar4@ncsu.edu or 919.513.2798. Registration closes April 15, but don't wait too late - some workshops and sessions may fill up quickly! Click here to download a mail in registration form. EMG College is an advanced training conference for Master Gardener volunteers; It is open to certified NC Master Gardener volunteers and interns only, not the public. Registration may be extended to Master Gardener volunteers in Virginia and South Carolina in late March if spaces remain available. Are meals included with accommodations? Meal plans are not included with accommodations. They are purchased separately during registration. Daily meal plans are available for $22/day. Daily meal plans include breakfast, lunch and dinner, and may be purchased for Thurs, June 6; Fri, June 7; and Sat, June 8. NOTE: This was initially listed incorrectly on page 13 of the Registration Guide - Click here to download an updated version of the Guide. If you stay on campus, in University Towers (UT), you will park in UT's parking deck at no additional charge. If you commute to campus daily, the closest visitor parking is in the Dan Allen Parking deck (located adjacent to UT) which charges hourly rates ($3 first hour, $2 other hours) to a maximum of $15/day. Pay upon exit . . credit cards only! Questions about EMG College? Contact Matt Jones, Horticulture Extension Agent, Chatham County and Planning Team Chair, matt_jones@ncsu.edu. Scholarships Available for 2019 EMGV College In June at NCSU! Does your county have an exceptional EMGV or someone who has the potential to be an outstanding asset to your program? NCEMGVA is sponsoring scholarships to cover the registration cost ($135) for two such remarkable master gardeners to attend the EMGV College in June! Any member of extension may submit an application to the Awards Committee by March 15th. Nominee and nominator must be members of NCEMGVA. Extension personnel will be notified of the Committee's decision by March 31st in time for the registration deadline of April 15th. For more details see the application below! Exciting Changes Coming to Plants, Pests and Pathogens for 2019! Please share this information with all EMGVs in your county. I look forward to connecting with you during the 2019 Plants, Pests and Pathogens webinar series! At the NCEMGVA Board of Delegates Meeting on January 17 in Durham, Katherine Jones, Extension Master GardenerSM volunteer of Rowan County (right), presents a check for $400.00 to Charlotte Glen, Statewide EMVGA Program Coordinator (left), for the NC Extension Master Gardeners Endowment. On your 1st place winning entry in the International Master Gardener Search for Excellence, workshop category! student or faculty to participate. spread the word as an MSU Certified Pollinator Champion! Please join us on our new Facebook webpage for all things across the state EMGVA. Post your own events directly to the page. Tell us about what your program is doing.Follow and Like us.